ESA's next miniature satellite will be its first able to change orbit. 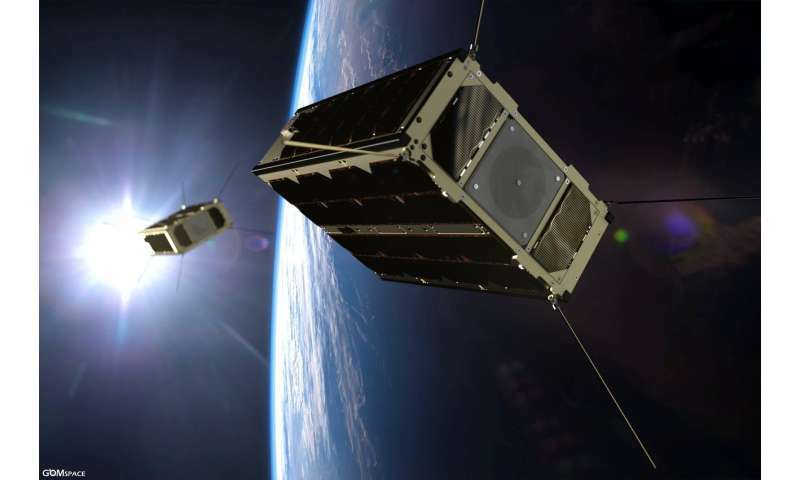 Thanks to a compact thruster resembling a butane cigarette lighter, the cereal box-sized satellite will fly around its near-twin to test their radio communications. The main goal is to test the radio link at varying distances, routing data from one satellite to the other, then down to the ground. 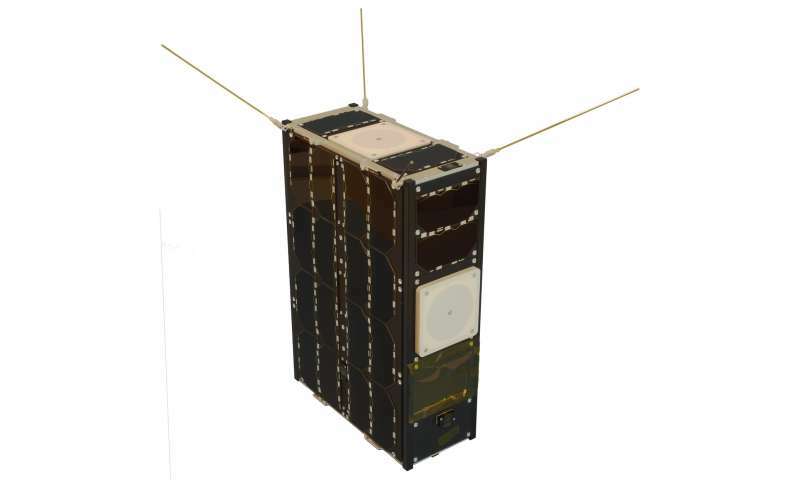 GomX-4A, from the Danish Ministry of Defence, will remain in position while ESA's GomX-4B manoeuvres up to 4500 km away. "We have two pressurised fuel tanks linked to two pairs of thrusters," explains Tor-Arne Grönland, head of NanoSpace. 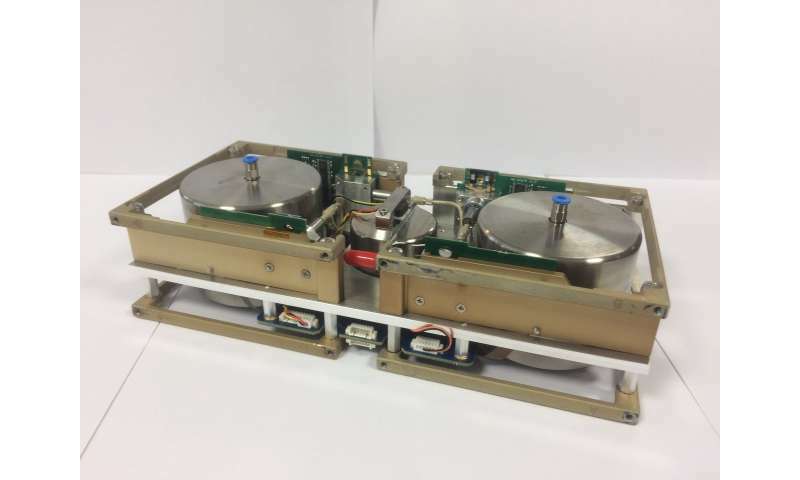 "Rather than burning propellant, these are simpler 'cold-gas' thrusters designed specifically for such a small mission. And simpler means cheaper and smaller. "The fuel is stored under pressure, then released through a tiny rocket nozzle. Even though it's cold gas, we achieve a substantial velocity change by using liquid butane that turns to gas as it exits. "Storing it as a liquid, like in a cigarette lighter, allows us to pack as many butane molecules as possible inside the small available volume – its liquid form being some 1000 times denser than its gas." "Compared to a typical half-tonne satellite with 1 N hydrazine thrusters, we are almost a hundred times lighter and a thousand times weaker," adds Tor-Arne. "All of the elements such as the chamber, nozzle and sensors are fitted into a 1x2 cm chip, just 1 mm thick."